Fri., 10 Jan. - Wed., 15 Jan.
Fri., 14 Jun. - Mon., 16 Dec.
Fri., 16 Aug. - Wed., 21 Aug. Tue., 6 Aug. - Fri., 9 Aug. 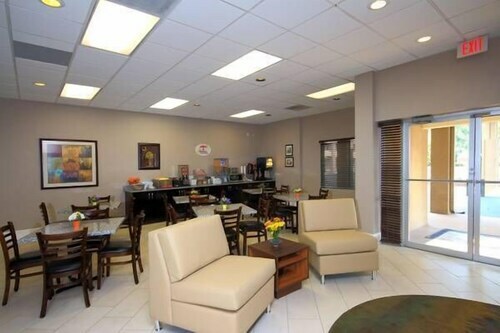 Situated near the airport, this hotel is 2.5 mi (4 km) from Cayce Historical Museum and within 6 mi (10 km) of Colonial Life Arena and University of South Carolina. Columbia Metropolitan Convention Center and Three Rivers Greenway are also within 6 mi (10 km). 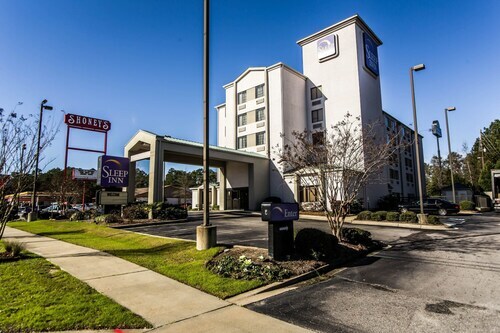 Situated in West Columbia, this hotel is 2.6 mi (4.1 km) from Cayce Historical Museum and within 6 mi (10 km) of Colonial Life Arena and University of South Carolina. Columbia Metropolitan Convention Center and Three Rivers Greenway are also within 6 mi (10 km). 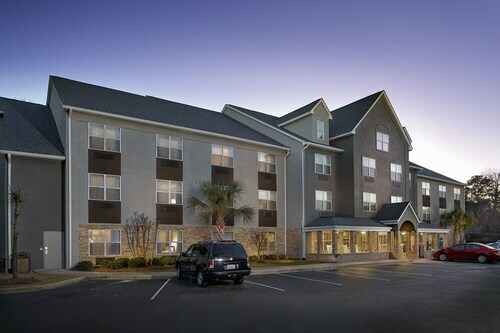 Located in the heart of West Columbia, this hotel is 2.4 mi (3.9 km) from Cayce Historical Museum and within 6 mi (10 km) of Colonial Life Arena and University of South Carolina. Columbia Metropolitan Convention Center and Three Rivers Greenway are also within 6 mi (10 km). Situated near the airport, this motel is 2.5 mi (3.9 km) from Cayce Historical Museum and within 6 mi (10 km) of Colonial Life Arena and University of South Carolina. Columbia Metropolitan Convention Center and Three Rivers Greenway are also within 6 mi (10 km). 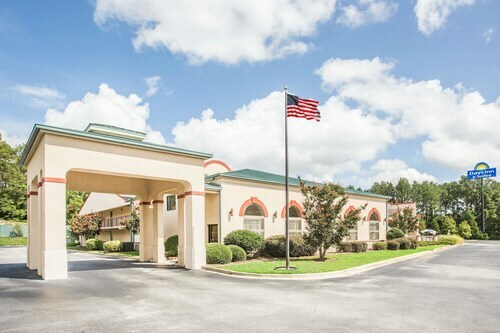 Situated in West Columbia, this motel is 2.3 mi (3.7 km) from Cayce Historical Museum and within 6 mi (10 km) of Colonial Life Arena and University of South Carolina. Columbia Metropolitan Convention Center and Township Auditorium are also within 6 mi (10 km). Situated in Cayce, this motel is 2.4 mi (3.9 km) from Cayce Historical Museum and within 6 mi (10 km) of Colonial Life Arena and University of South Carolina. Columbia Metropolitan Convention Center and Williams Brice Stadium are also within 6 mi (10 km). 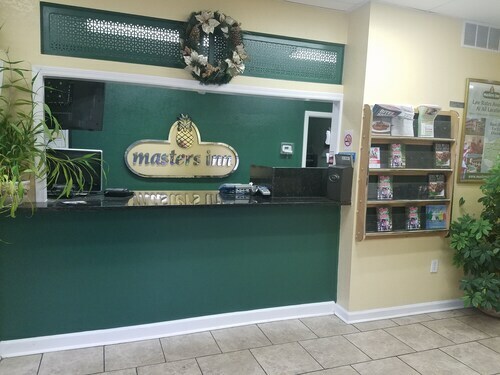 Located in the heart of West Columbia, this motel is 2.4 mi (3.9 km) from Cayce Historical Museum and within 6 mi (10 km) of Colonial Life Arena and University of South Carolina. Columbia Metropolitan Convention Center and Township Auditorium are also within 6 mi (10 km). Situated near the airport, this motel is 2 mi (3.2 km) from Cayce Historical Museum and within 6 mi (10 km) of Colonial Life Arena and University of South Carolina. Columbia Metropolitan Convention Center and Williams Brice Stadium are also within 6 mi (10 km). Question : How long do most people stay in Columbia on average? Answer : You sure can and you may save money by doing it. The lowest-cost day to fly in April is Saturday. Being flexible with your travel days can provide you extra savings when booking. Question : Which airline has the least delays from Toronto to Columbia? Answer : ZanAir holds the best record for flights from YYZ to CAE with a 100% on-time rate. Hopefully, they keep that perfect record alive. Answer : The cheapest day to fly from Toronto to Columbia is on Saturday. So, if you are trying to save a little money on your next business trip look for flights on that day. Question : What is the cheapest airline flying from Toronto to Columbia? Answer : Ticket costs are hitting highs of $571 over the next three months when flying to CAE from YYZ. Check out American Airlines, as customers have been buying tickets at just $285. Question : How much is a plane ticket to Columbia (CAE) from Toronto (YYZ)? Prices vary from $285 to $571. Booking far in advance can normally help you get the cheapest ticket. Remember, booking ahead can save you dollars can use to treat yourself to something special while on your holiday. And who doesn't like to treat themselves? 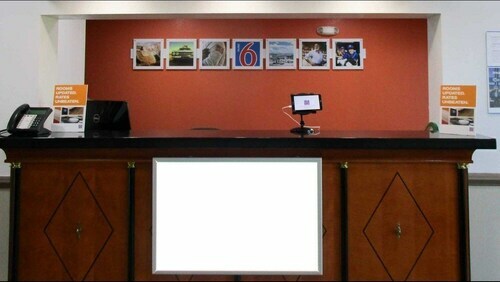 Answer : Prices vary from $285 to $571. Booking far in advance can normally help you get the cheapest ticket. Remember, booking ahead can save you dollars can use to treat yourself to something special while on your holiday. And who doesn't like to treat themselves? Question : What is the cheapest date to fly to Columbia? Answer : If you are looking to save money, look at Apr 16th. As of Apr 15th, it's showing the cheapest ticket at $285. That is 29% below the average for this route, so you can spend that extra dollars on having an amazing time Columbia.